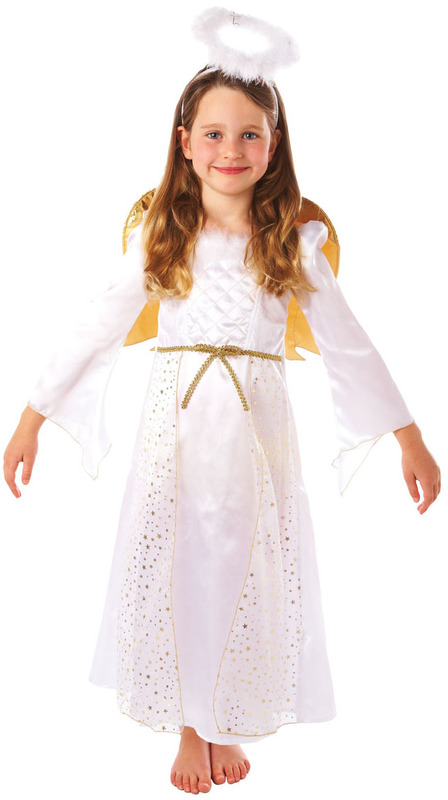 Show off your childs inner angel this Christmas with our fantastically festive Girls Angel Nativity Fancy Dress Costume. This Kids Fancy Dress Outfit features everything you need to transform your little girl into the cutest little cherub, sweet enough to top the tree! Perfect for Nativity plays, School productions and Christmas parties. Boys Nativity Costumes are also available.